What a shame! In August of last year I wrote an article on The Senator. 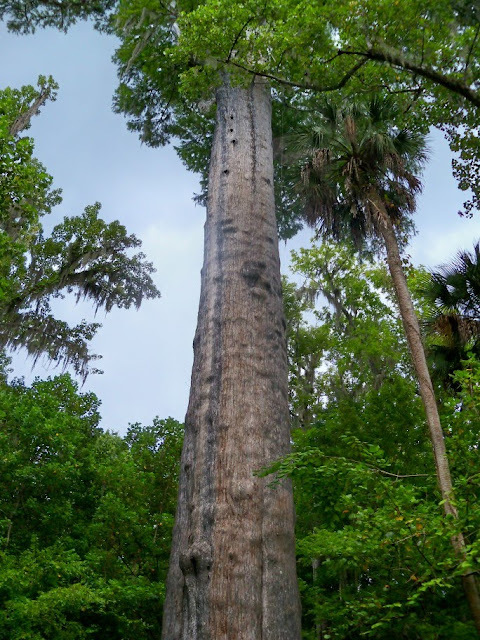 The Senator at Big Tree Park is one of the largest Cypress trees in America. The Senator was used as a landmark by the Seminole Indians, as well as the other Native American tribes in the area. During the Hurricane of 1925, the top of the Senator was destroyed, lopping off 47 feet of the original 165 feet. Today, the Senator fell to the ground in a blaze, just minutes from my home. The Orlando Sentinel is reporting that "they are awaiting a complete explanation for why investigators ruled out arson. If the fire wasn't set, how did it start? 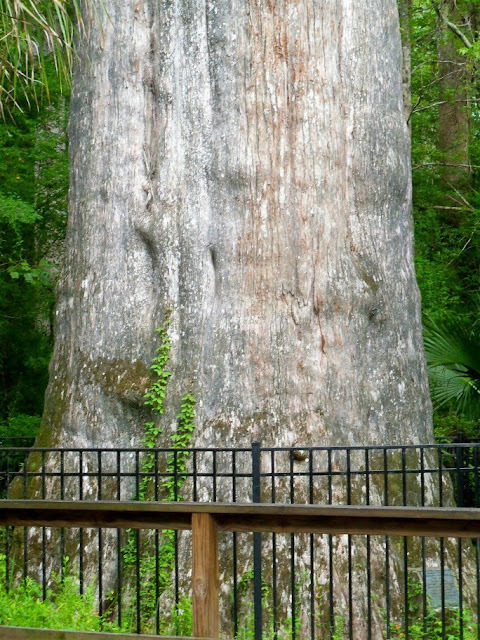 It's important to get answers because another massive cypress tree, Lady Liberty, is still standing at Big Tree Park. Though smaller and less elderly (2,000 years old instead of 3,500), it needs to be preserved and protected if security at the park is lacking." Oh no! That is terribly sad!! How awful that this great piece of history and natural beauty has been lost. I'm incredibly sad about it and many people that live around the area were in tears. I'm just hoping the cause wasn't a discarded cigarette.